This past October I returned to India for what was my tenth trip to that country. While revisiting familiar places, I also spend time in a corner of India which I haven't been to before, namely Odisha, or Orissa as it was formerly called. This western state lays claim to some of the oldest temples in all of India, if not the world - temples up to 2000 years old; but for all that, it is not really a tourist destination - at least not a place where western tourists flock to. As such I saw but three westerners during my stay in Bhubaneswar, and while Puri and its beaches attract a number of backpackers, they are vastly outnumbered by the Indian tourists and pilgrims. 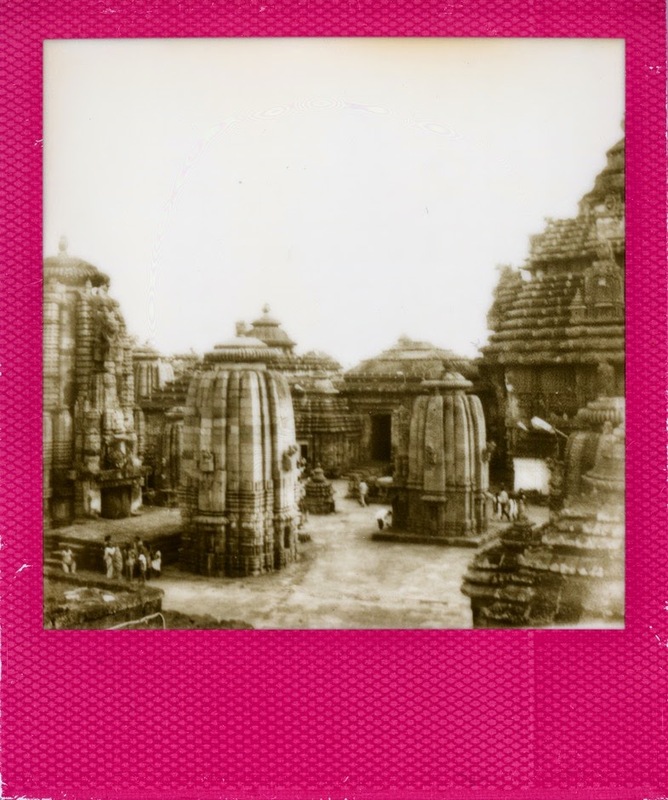 Puri is home to the large 12th century Jaganath temple, one of India's four holy pilgrim sites. Bhubaneswar is home to a range of temples, some of them dating back to BC, including the imposing Lingaraj temple with its 54m high tower. Other holy places nearby are the caves at Khandagiri and Udayagiri, hewn out of the rock by Jain priests in the second century BC, and a more recent Buddhist pagoda in Dhauri, honouring the warrior-king turned pacifist Buddhist, Ashoka. The largest temple in the vicinity is the Sun Temple in Kornarak, dating back to the 13th century. last two trips to India. Rajasthan boasts glamorous palaces and colourful cities which Odisha doesn't have. Odisha certainly has magnificent landscapes, but in the end, to me as an outsider at least, the region seems to be very much about the holy places, and thus about religion and spirituality. Obviously, India is by nature a very spiritual country, or should I say, Indians are a very spiritual people. Not all, of course, but many, even those who are not outright religious, consider themselves to be spiritual. This is reflected in their outlook, their customs big and small, their food, their adornments (which are never just adornments but always symbols of something), and not to mention the many religious festivals held throughout the year. 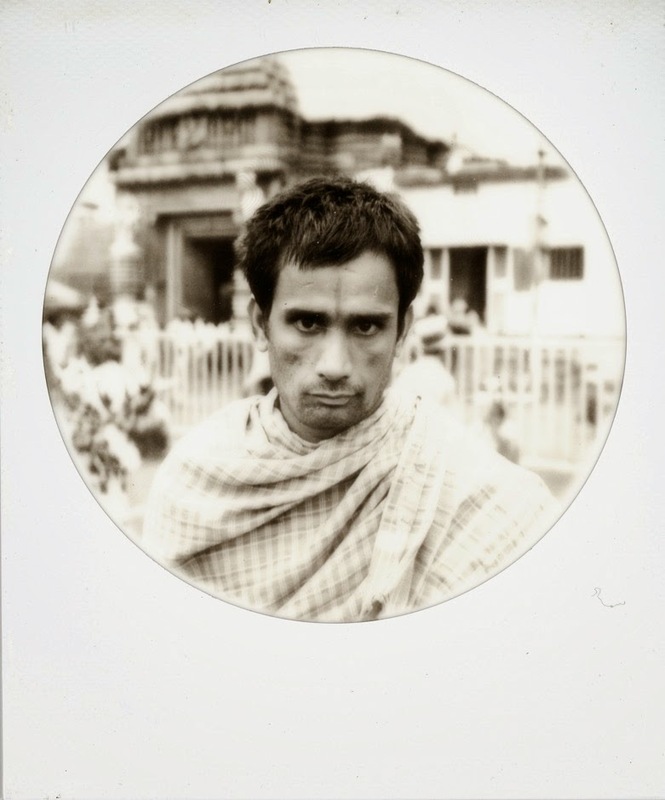 Odisha, with its high concentration of temples and pilgrims, and it's lack of worldly attractions, seems very much like an epicenter of this spirituality; and indeed, there was not a single person from Orissa who I met who didn't, by word or by deed, displayed their affinity towards, or veneration of, all things religious and spiritual. Religion is not something I generally think highly of. I believe it is at the root of most evil perpetrated in the world, as it constitutes the greatest single cause of hatred and intolerance; and certainly India had and still has its fair share of strife caused by religious intolerance. Yet it is very hard not to be charmed by the outlook on life which rises out of the beliefs of many of the Indians whom I met over the years. For starters, their attitude is generally a very inclusive one, at least with regard to visitors (whether or not the same tolerance that is granted outsiders is shown to members of one's own family or close friends is a different discussion). It's also very life affirming and optimistic. And it even produces effects that you wouldn't normally think - such as the fact (as some people claim) that the preponderant veneration of the goddess Kali in the city Kolkata leads to women in Kolkata being generally more empowered than in other parts of India. This makes India a good place to visit as the people you meet are open and welcoming, tolerant of one's quirks and differences, curious in a good way and ready to become friends. I've stated this in previous posts, but to me, visiting India is more about meeting people than it is about seeing great sights. And this time, even more than on previous visits, that fact is reflected in the photos I took. Yes, I also photographed temples and other sights and aspects, but 90% of the photos I took are portraits. Indians in general are happy to be photographed, all you need is ask. I asked pilgrims and priests, families on the beach, passers-by on the street. Sometimes, I didn't even need to ask as some, mainly youngsters, happily volunteered. The result is an eclectic mix of people from all walks of life. 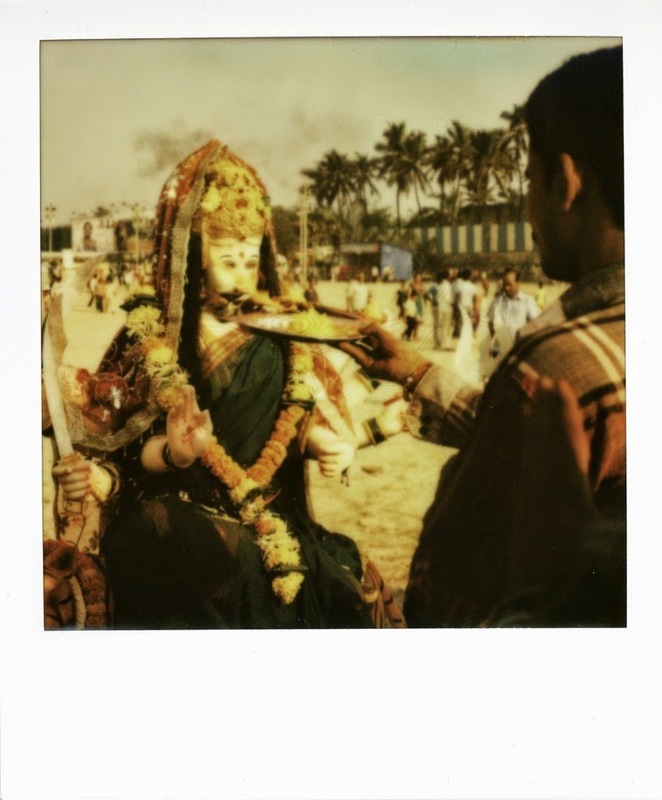 On the last two visits to India I had chiefly taken colour polaroid films with me, but each time I was unhappy with the resulting exposures as most of them were discoloured - whether by the heat or by the airport x-ray machines, I don't know, but I found the resulting red discolouration more than just a bit distracting (see my earlier post here). Thus, this time around, I packed but one colour film and seven black and white films, including Impossible Project's new Pigeonhole film with its round border, which I found perfect for portrait photography. This decision paid off as I came back with many more worthwhile polaroids than I did on previous trips.